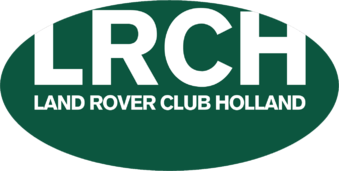 The 4D Challenge is a four-day international competition held throughout the Netherlands and surrounding countries organized by the Land Rover Club Holland. The 4th instalment will be organized in 2020. This demanding contest has two central themes: your Land Rover and the physical ability (at least capable to run 10, or to cycle 40 kilometers) of you and your teammate. Every day you will face demanding challenges designed to test your perseverance and after four days a team be announced as the winner. The 4D Challenge is for teams of two people who are in possession of a Land Rover. At least one of them has to be, or has to become, a member of the Land Rover Club Holland. The competition is also open to foreign teams. The contest is suitable for all types of Land Rover. The car does not need to have a winch or mud tyres; but technical driving skills must be demonstrated where the team must show that the car is under control at all times. The next edition (4th instalment) will be organized from wednesday 20 to saturday 23 May 2020. For more information or online sign up, please get in touch. Please note that an application form in english will be available from april 2019.